While the local government elections proceed and we are in caretaker mode, I am still out there working for you. In particular, I am contributing to Council’s response to the Government’s proposed Accredited Professionals Scheme and Assessment Pathways. As the Government’s reform package does not wait on Council elections it becomes difficult for elected members to have influence over the debate. That has not stopped me however. I am offering opinions in two current planning areas that impact on you. They are the Accredited Professionals Scheme and Assessment Pathways. In my opinion, the Accredited Professionals Scheme is sadly lacking and is fraught with danger. The proposed accreditation appears to be quite liberal. The level of experience for assessment panel members is surprisingly limited. It flies in the face of the previous ministers’ assertions the involvement of Council elected members. He believed elected members largely had an insufficient skillset. The proposed qualifications however for future panel members would curiously allow elected members easy access to the panel. Likewise, as a retired building inspector, I am concerned that the Level 4 accreditation for building inspectors requires only 6 months experience. It seems we may be moving to a system which allows what I would consider less competency than now. Surely a backwards step. I am pushing that Assessment pathways for any development that has variances to the plan such that they impact on the neighbourhood, even if only “minor” should have a public consultation component to them. We must continue to fight for this. This is because developments invariably will sit outside the parameters set in a development plan. Assessment must remain with Council rather than with private certifiers when public notification is a requirement. This is because councils are the only body with the availability of being transparent and accountable. Private Certifiers will never have the level of accountability that Councils have. Even with the number of elected members sitting on assessment panels reduced to one, accountability is only possible with Councils being responsible. Two extremes of public notification need to be addressed. I am promoting accordingly. Obviously larger developments must include public notification and this must extend beyond just the immediate neighbours. Rear of house developments regularly however do not impact on other than the immediate neighbour/s. This includes neighbours who live on the other side of the street and cannot see the development. Those not impacted should not be invited to make representation. If re-elected, I will remain in a position of working for you and providing local leadership on the Accredited Professionals Scheme and Assessment Pathways and all subsequent planning changes. 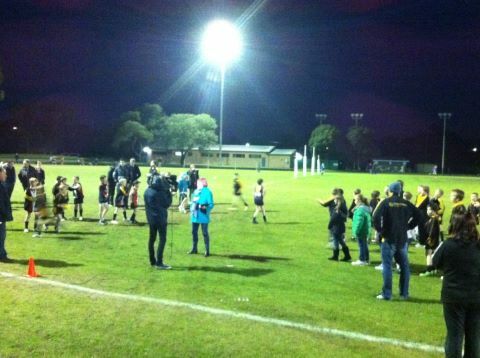 Light Tension at Goodwood Oval as Saints Seek More illumination. Our Council Assessment Panel will feel a light tension this Tuesday night. The Panel meets on that night to adjudicate on a single Development Application. This application has prompted a not so light tension within the local community. This means it is the only application considered on the night. With 4 independent members and just one elected member they are appointed under the Development Act to represent Council. They must assess applications based on the Act, the Development Regulations and the City of Unley Development Plan. On Tuesday night they must decide whether to accept or refuse a Development Application by the Goodwood Saints Football Club. The club is seeking to extend the hours of use of the lights at Goodwood Oval. As part of the process of determining the fate of the application they have received no fewer than 150 representations. Around half of these oppose the proposed development, half support. Some of those who have provided a representation will take the opportunity to verbally present to the Panel. The tension between the Club and nearby residents caused by this application should not deter the Panel from their responsibility under the Act. That said I imagine there will be more than just a light tension in the gallery on Tuesday night. As they exist courtesy of the Development Act and not the Local Government Act the panel cannot be lobbied. This is unlike when Council considers an issue. Even Council can’t influence them. When the Panel read representations or hear testimonies they must evaluate them in purely development plan terms. This is enhanced with the influence of elected member diminished to just one of five. This courtesy, of course, of the former Planning Minister John Rau. The big question is, will they agree with the recommendation of Council’s Planning Department who believe the application is not seriously at variance to the Development Plan. The proposed Kaufland Development on the LeCornu Anzac Highway site is fundamentally flawed. The proposed Kaufland Development on the LeCornu Anzac Highway site is fundamentally flawed. As I argued in my other blog today it is seriously at variance to the Development Plan. I argued it is diametrically the opposite of the vision the State Government and the Council have for this site. A vision for medium density housing. The Government was quite clear in how it looked to house our population into the future. It was by focusing on increasing residential density in the inner rim council areas. The development plan recognises this. The proposal does not. It recreates the carparking focus of the past. 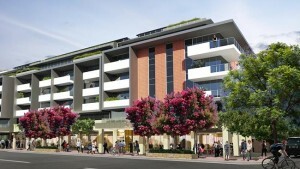 Car parking at grade is a major component of this development. Because of the focus on this, the proposal is seriously at variance to the development plan. In other words, the development plan recognises that parking at grade is a visual eyesore. Parking at grade (at street level) should not be a major part of a residential zone. With its retail focus, this development contravenes this basic principle. With a focus therefore on anything but residential this development fails miserably. Because it is a retail only project, it is fundamentally flawed. Therefore, it is seriously at variance to the Development Plan. The State Commission Assessment Panel must surely recognize the complete failure of the development to meet the fundamental requirement of the Development Plan. Approval by the SCAP will make a mockery of what the Government and Council have endeavoured to achieve in addressing population growth. 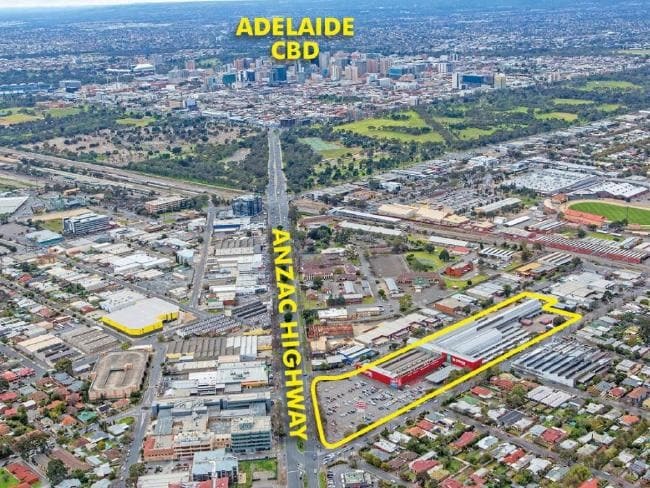 Taking a site so suited to medium density residential development and focusing it instead on a mega supermarket is diametrically opposite to the vision and should be refused. 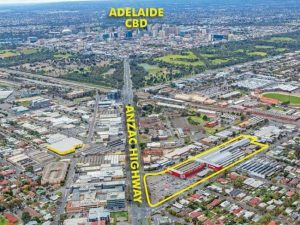 The proposed Kaufland development on the old Anzac Highway LeCornu site is, I believe, seriously at variance to the Unley Development Plan. An initial cursory look at the plans last week had me thinking it was not seriously at variance. This was based on recognising only the built form. The height of the proposed structure is only 2 storeys. The set back to Anzac Highway well over the allowable 3m. The set back to Leader Street, where it abuts the adjacent residential zone, is 5m rather than the 2m allowed. Taking an opportunity this week to check the development proposed more thoroughly revealed to me differently. 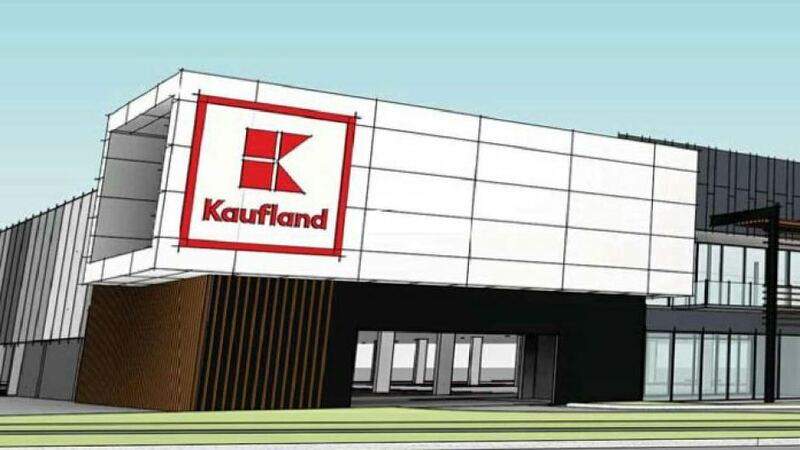 Without a doubt, the Kaufland proposal is seriously at variance to the development plan. The Development Plan stems from the recent Ministerial (Specific Sites) DPA. A plan influenced by Council’s input. Input in keeping with our strategy for all Urban Corridor Development Zones within our Council. Input the Government (as previously reported on this blog site) is now using to correct poor design outcomes in other Council areas. The proposed development is a fully retail development focusing on a mega supermarket. It has no residential component. This is diametrically the opposite of what the then minister, and Council envisaged for this area. A medium Density Residential area” supported” by local shops, offices and community spaces. A highly varied streetscape allowing “multiple” built form design responses that supports innovative housing and mixed-use development. The desired character for the policy area therefore is (as the plan says) to “primarily’ serve a residential function with support “only” of shops, offices etc. There can be no argument therefore. This development therefore is clearly seriously at variance to the intention of the development plan. This surely is a critical requirement. Without even a single house it can therefore seriously only be viewed as seriously at variance to the plan. This fundamental flaw in the Kaufland Development creates a major conflict for a residential area. My blog today on carparking demonstrates further that it is seriously at variance to the development plan and should be refused. 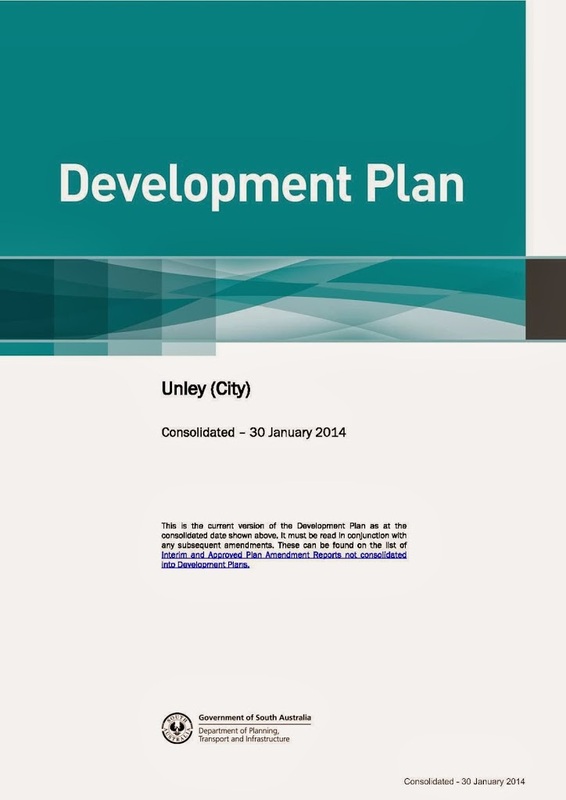 A sitting of Unley’s Council Assessment panel last night saw how Planning Process Pains Perpetuate. 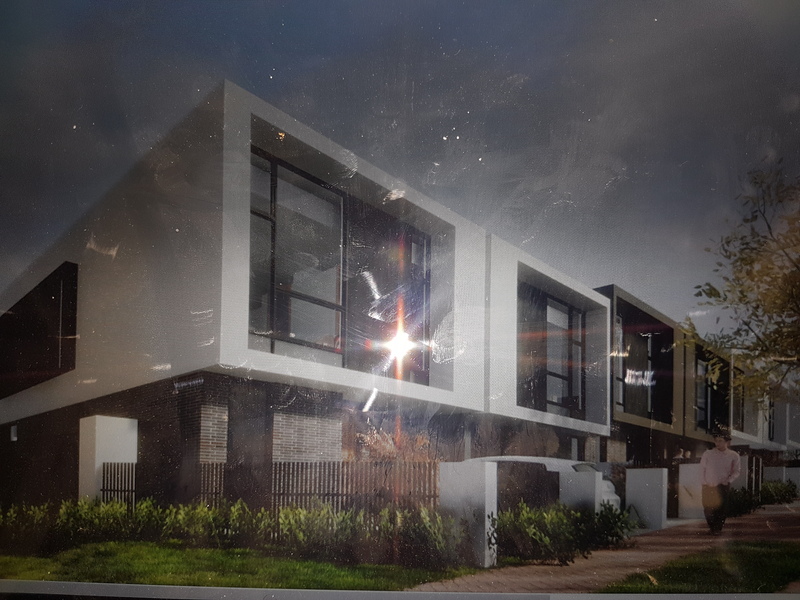 This was in evidence with the approval of a 2-storey development on the corner of Culross Avenue and Fullarton Road. Approved Development for Culross Avenue and Fullarton Road. Neighbouring residents turned up on mass to protest a development proposed for that site. They left disillusioned by the Planning Process. Several neighbours made verbal representations, backing up their written submissions. Unley MP David Pisoni, likely to be the planning minister in the new Government, also made representation. The Panel approved the development. They did so because the application because it was not significantly at variance to the development plan. This was much to the dismay of the gallery. Much of their dismay centred on understanding that development plans are not prescriptive, but a guideline. They felt that a minimum in the plan should be just that, a minimum. Planning is not an exact science. This can even confuse those in the industry. Most of their dismay centred however in an arena they had control over a few years back. Last year this section of Fullarton Road was rezoned. The then Planning Minister signed off, as part of the planning process, on a development plan amendment. Residents had an opportunity some 4 to 5 years ago to make representation at this stage of the planning process. Back then there was a proposal to alter our development plan to contribute to the Governments 30-year plan. Not many did, unlike those in the west. The people in the west turned up in force to protest the changes. More to the point they were successful. Back then, Jennie & I doorknocked all affected residents in Black Forest. We did so to ensure they received and understood the advice provided them by Council. We found many had not bothered to check the mail. Many also did not understand the potential impact on their neighbourhood. Our mentoring helped them, obviously with contrasting results to what happened in Fullarton. Ultimately the DPA was split into two. The east was approved by the minister with the west left to be argued later (indefinitely). This has resulted in a development approved that may not have been contemplated had the east been as informed and proactive as the west obviously was. One of many to come, one suspects.